- $100USD (or local equivalent) firm budget to purchase a C&V bicycle and get it back on the road. 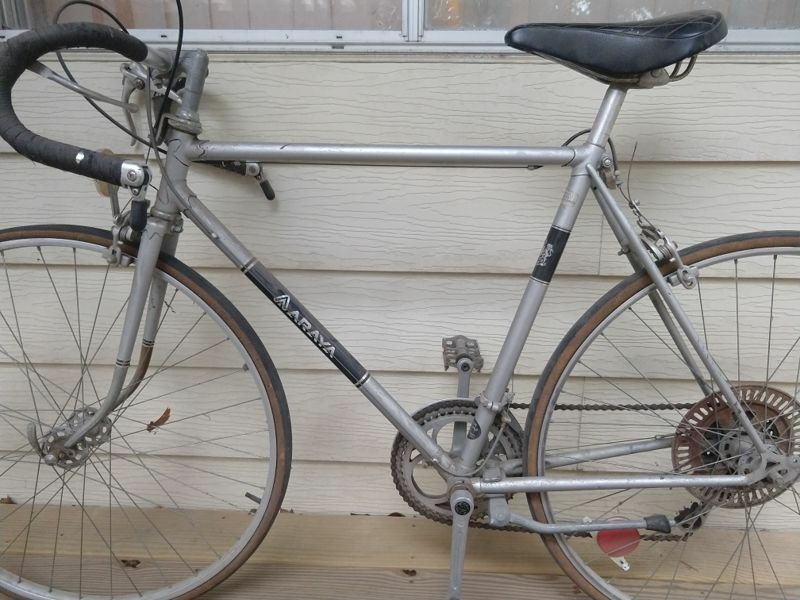 This $100 includes initial bicycle purchase and all consumables/parts to make it go again. You may have to cut corners but this is all part of the fun. That wal-mart saddle just might have to be your hatchet if you spent all your money on new tires. Your time, tools, cleaning supplies, gas/transit to go get it and grease are free. Count them if you'd like. If you are buying new or used, record that price. If you are using something you already have and know what you paid, use that price. If you can't remember, use the fair market value of the item. If in doubt, ask. Shipping is a cost to be factored in. While anyone who wishes to participate is encouraged to follow the spirit of the game and go out and get a new bicycle, an untouched project waiting in the shed is ok, too. 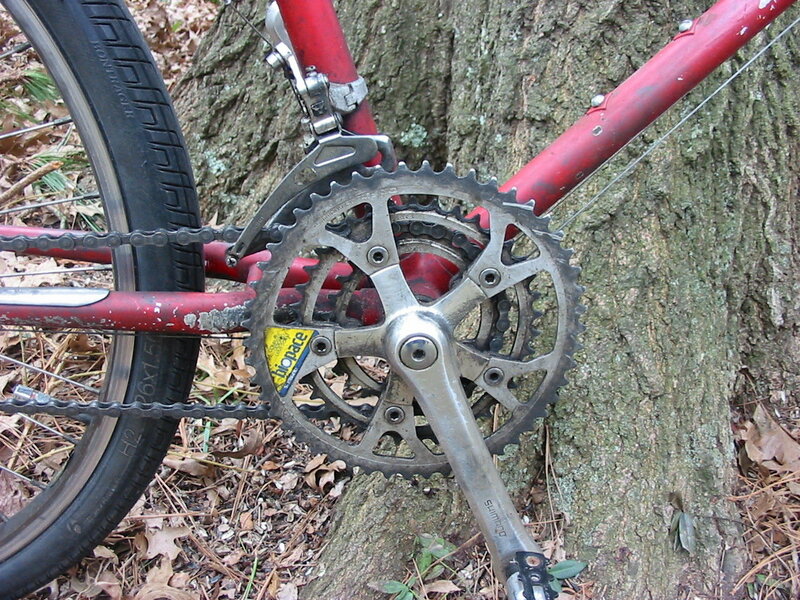 - Swapping one part out for another does not cancel out the value added to the bicycle. As found = purchase price. adding items costs money. - If you sell a part you remove from the bike, you may add the sale price to your budget. You actually have to find a real buyer for your ****e to gain a few sheckles. - Keep a detailed list and updated before, during and after pictures in this thread on your purchases and progress. We fiend for this sort of thing. - A minimum of 100km ridden on your new bike. 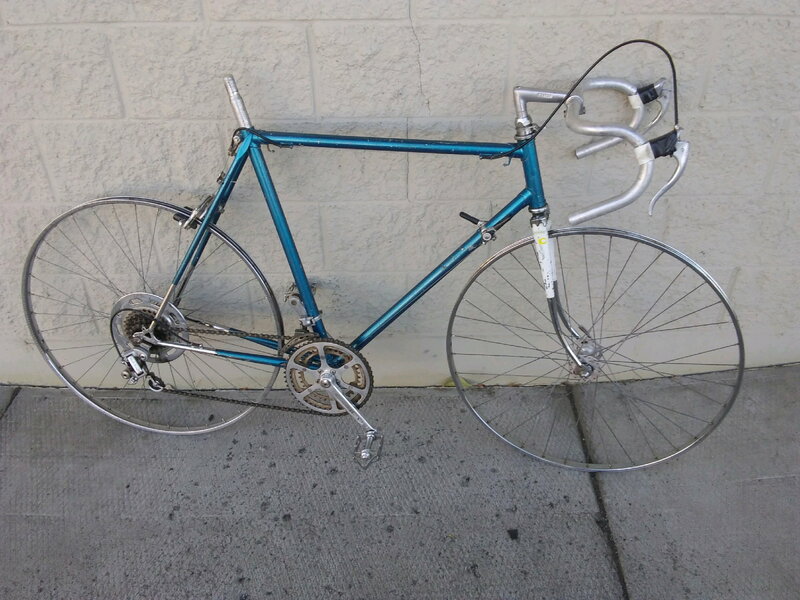 Take photos of the rebuild and of the bicycle in the places you go and post them here. Perhaps you'll have a newfound admiration for stem shifters and solid axles. Or maybe you'll hate everyone after five minutes on the bike and keep using Photobucket to share photos. - Arbitrary style and value points. You'll get style points for both the nicest finds/builds AND the bikes that make us say "That thing actually survived 100km?". Going as cheap and crummy as possible is a badge of honour. 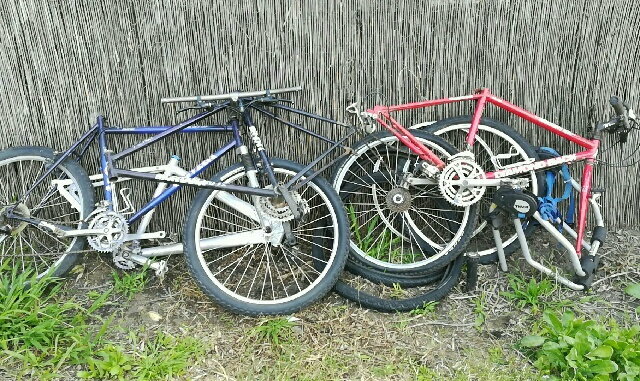 Bonus points for using a real POS in as-found condition (flipped bars, rusted cables, saddle at a 45 degree angle, etc.) and preserving the integrity of the previous owner's ingenuity and mechanical skills. Judging: Bribery and flattery is acceptable and encouraged. If anyone actually has too much free time and bribes me I will post contents of bike related packages for others to covet and oggle. Join the C&V strava club and track your rides. Post here too for those that don't use strava. I may decide to enter my own find this year if I can peel myself away from life. As unbiased judge, if I do then y'all will be fighting over the top spot of second place. Looking forward to this. Wish a little more heads up would have been given, but no big deal. Since it's early, and to avoid speculation down the road, what is the END DATE? i.e, you have through X month, Y day. Last edited by hazetguy; 04-02-19 at 06:42 PM. It looks like the end is on or about July 12. I'm glad for the later start. Some of the other contests have started earlier in the year, so some time was lost waiting for yard sale season to get going. I understand that while participants are encouraged to seek out new clunker material for their entry, it’s acceptable to use something already in possession. This is great because I’ve been sitting on a particular frame for a while, and wondering just what to do with it. I’d like to enter it. And I get that any of the clunkers parts that are sold off, that value credits the build budget. But what if the entry is a frame, or most of a bike that has been in possession for a while, and I can’t recall how much I’ve sold certain parts off of it for? Would best guesstimate be fair and reasonable? Last edited by deux jambes; 04-03-19 at 12:03 AM. Just make your best guesstimates. No feet to the fire here. i figured april is a good time to dig out from the winter and ride into the sunset of summer. Dang I haven't even sold last years Clunker challenge bike! best get a move on. - leaves some room for upgrades! Feeling quite ridiculous for having pestered @Narhay into starting back up last year's 2018 version of the Clunker Challenge and then not even participating...the pangs of guilt and shame are too much. From this moment on, I shall find a clunker and complete this year's quest. I shall henceforth receive all shame and ridicule, as well as the obligatory encouragement to add yet another junk bicycle to my crowded garage. If there is such thing as a 'most improvement over last year' award, I call dibs now. The co-op scrap pile awaits! Readying slings and arrows.... seriously is there something in your crowded Garage already that fits the bill? or course the searching for a clunker is half the fun. Got all this for free 3 weeks ago. I'm IN! I snagged this early '70s Bottechia De Luxe for $30 in August and mothballed it, awaiting the starting gun. I will scour the parts bins for bits to replace the missing saddle, seatpost and rear cable hanger. The current plan is to run it with its stock wheels (steel rims and steel 3-piece nutted hubs!) and Simplex derailleurs, though I suspect everything will get fresh grease beforehand. At first blush, it may be the easiest clunker challenge bike I've run yet. 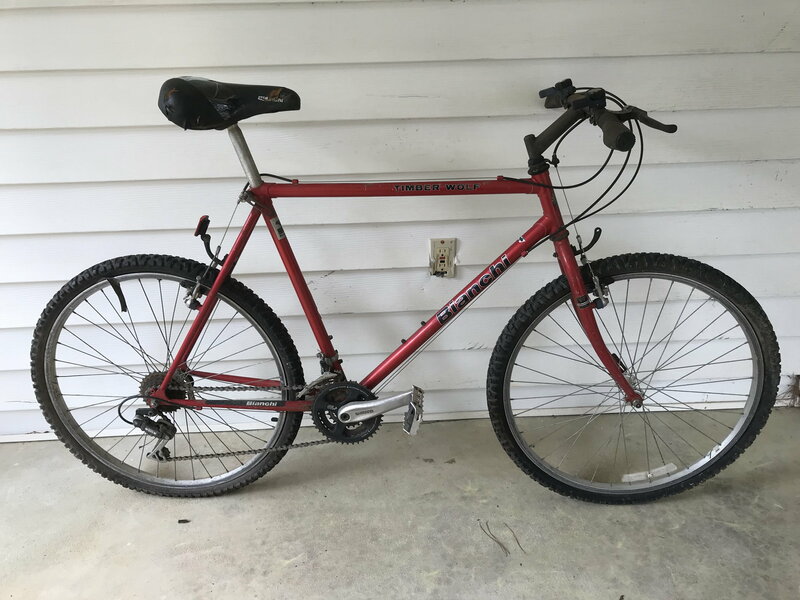 Though I DO have a second option - this c.1994 Bianchi Timber Wolf that fell into my hands for $14.99 last week when I was delivering outgrown clothes to the Salvation Army. Wonder if I can do a drop bar conversion and keep it all under budget? Last edited by rustystrings61; 04-04-19 at 07:14 AM. It's been sitting in my storage waiting for something. I think I'll keep it all original, but put on new tires/tubes/cables/housing. I had a lot of great tire suggestions in the previous thread. I'm really excited to get this bad boy going in NOS form. Definitely nervous on the cost of cables and housings! So far I've bought the bike, and leather bar tape on sale. I'll keep this list updated as I progress! You can find cable and housing kits for cheap on Amazon Bell Pit crew set for $10.69 good luck with the Grey Ghost or is it a Silver Ghost like a Rolls Royce? I realize that I may fail to meet the criteria, but I am trying to bring it in as original and as cheaply as possible - so I hope Narhay was serious was he was mentioning bribes. And Narhay, I'm only a ferry ride from Jersey if you know what I mean, and we have friends. BTW, not selling this one, I think it is a keeper. Last edited by dweenk; 04-15-19 at 12:35 PM. When amateur golfers of different skill level compete, they use a handicap system to square the field. The same should be used here, so the guy in portland can compete with the guy in nobikeinfrastructure ruralville. Okay, so I dropped on by the co-op, and found lots of luscious project material! A (1960s?) Jeunet. What I can only assume is a crappy, turkey-levered gaspipe lead sled with steel wheels. Still, it has a bit of charm, don't you think? Has simplex running gear and ultra-sticky foam grips. Hmmm...do I rescue something, or keep looking??? 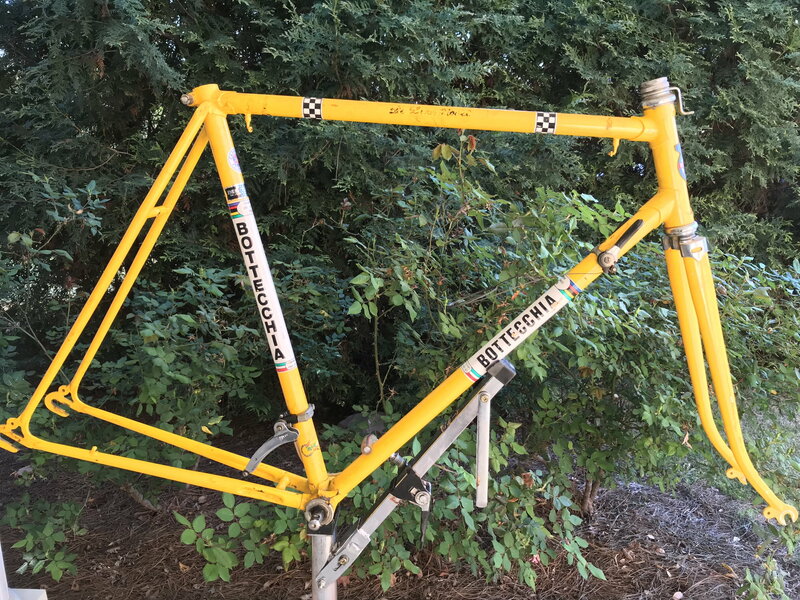 Actually, that is a trick question, as I did rescue the Fuji Cambridge in the first photo from the scrap pile, as it is an unusual, if not rare, bike from the early 80s and actually came with some decent (alloy!) stuff. I can imagine a fun build with this one. Funny thing, it was literally falling apart on the way out to the car, and I was picking up pieces that were falling off it. I suppose that qualifies for a klunker. Would rescue 'em all if I could. I'm IN! 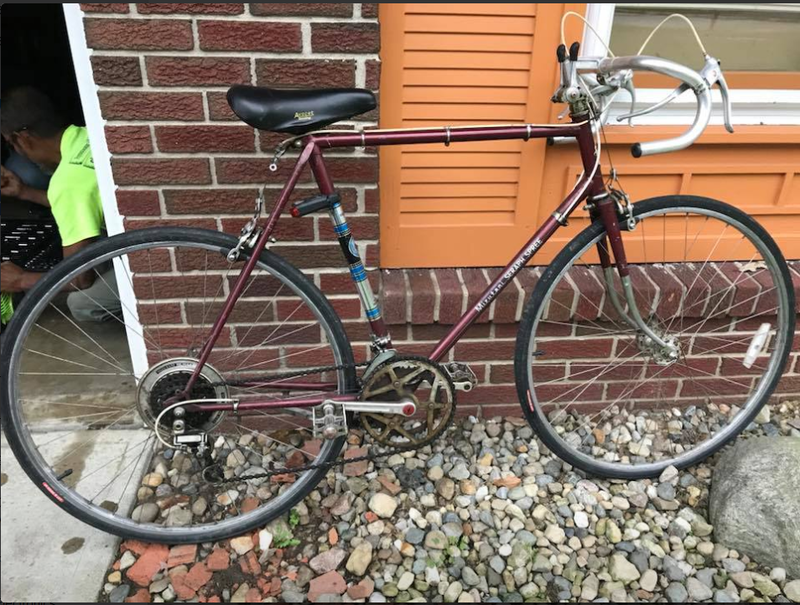 I snagged this early '70s Bottechia Special for $30 in August and mothballed it, awaiting the starting gun. I will scour the parts bins for bits to replace the missing saddle, seatpost and rear cable hanger. The current plan is to run it with its stock wheels (steel rims and steel 3-piece nutted hubs!) 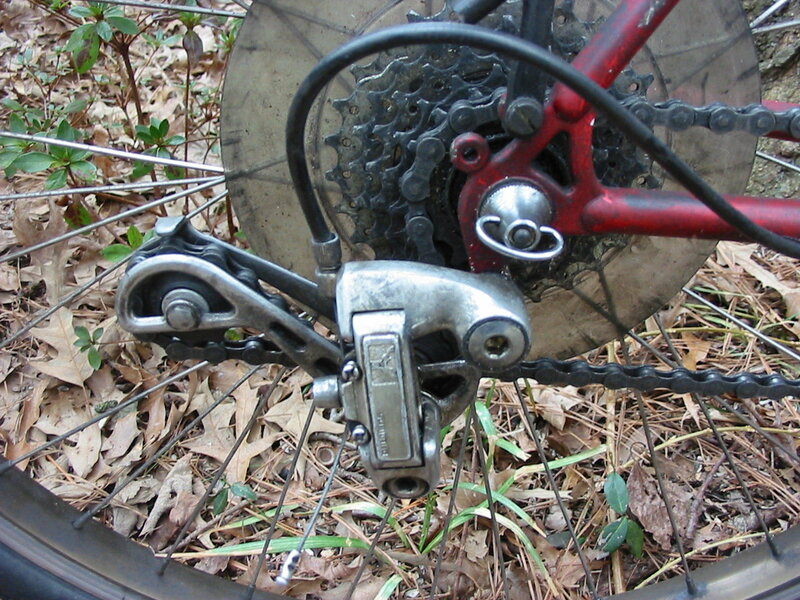 and Simplex derailleurs, though I suspect everything will get fresh grease beforehand. At first blush, it may be the easiest clunker challenge bike I've run yet. Those stems on the Bottechia's are fabulous. These are all great finds for the first page. 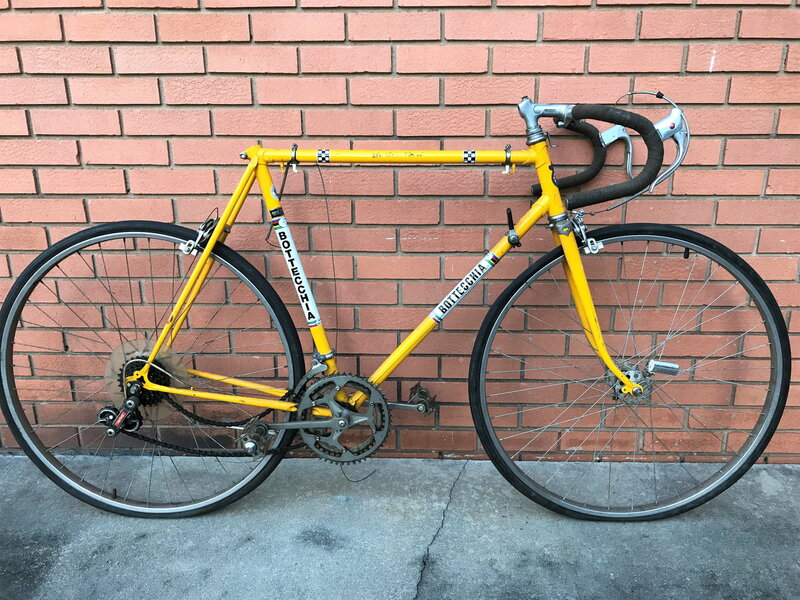 I do like the crank on that jeunet, the araya wheels and barcons, the schoolbus yellow of the bottecchia and the deerhead stuff. The pile o bikes seems fairly decent grade...something good can come of it. I am not above bribery nor flattery. Yup, these are real clunkers! 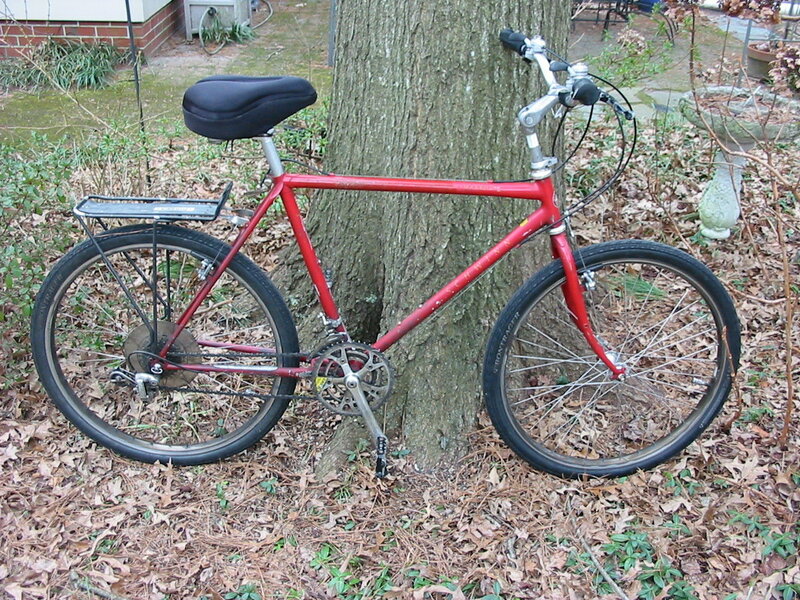 That Bottechia reminds me a lot of my first 10-speed, which was an Atala, similarly built and equipped. I'm now a regular volunteer at the bike coop in Brooklyn, so I do enough of this stuff already, so I won't be entering the contest, but I'll watch from the sidelines. The madness begins! I spent an hour or so in the workshop last night removing parts probably last touched during Nixon's truncated second term. The front brake mounting nut was surprisingly tight, but some PB Blaster and a long-handled socket wrench finally broke it free and it began turning. 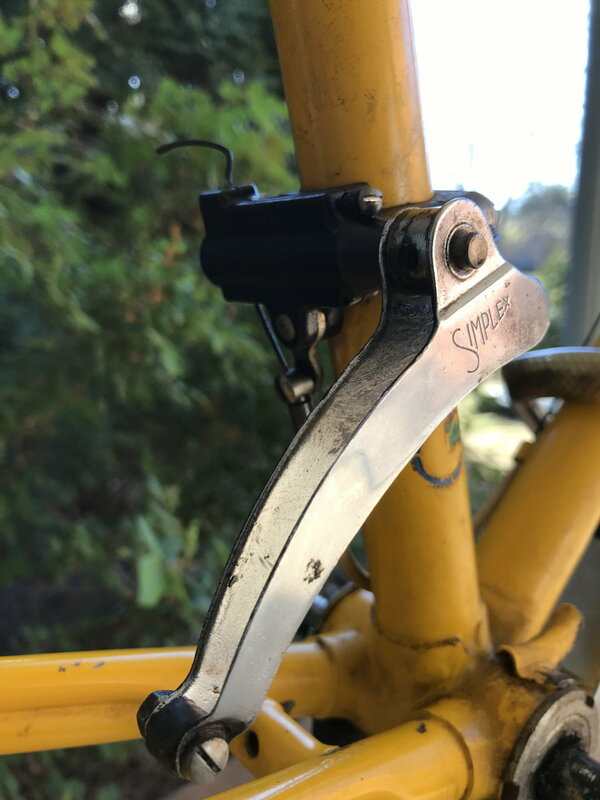 The Simplex Prestige rear derailleur feels very sluggish, but since it is packed with ancient grease and grime, I hope a simple cleaning will restore it to its usual Gallic shuffle. Since the pushrod Simplex Prestige front derailleur works and is uncracked, I decided there was no good reason to move it, opting to slather it in oil and readjust the loose cable. It works, maybe not beautifully, but about as well as it ever did when new. The Universal Sport brake pads were shot, but they were useless when they were new, so no surprises there. The cranks were out of register due to mismatched cotters, both of which popped out easily enough after a PB Blaster soak and the use of a pipe butted against the crank over the cotter head and a solid whack of a suitably large hammer to dislodge them. The drive side had what appeared to be the original cotter and required a little assistance from a punch to completely extract it. The front wheel spins easily enough, the rear really needs a repack, and the freewheel is caked in ancient greasy muck, so much so as to be illegible - and of course, they are heavier than homemade sin and almost as ugly. I will have to check the tires to see if they are the originals or not. Finally, the headset feels very notchy and nasty, but I hope a good cleaning and relube will fix all of that. Last edited by rustystrings61; 04-04-19 at 01:50 PM. Fair enough. You can count me in! I’ll crunch numbers soon and report back with a deduced appraisal for I’ll be working with. I'm excited to see this. Last year was my first challenge, and it was a little too easy. I haven't decided yet for sure if I'm going to do one this year. I'm in the market for a 2nd bike at the moment, and that may dovetail nicely into the challenge. IF I DO the 2019 challenge, here's a couple contenders I've found so far, may get to go check them out this weekend. $45 asking price for the Conti, $35 for the Mizutani (which has been for sale since at least last fall). Edit: home budget officer has approved $50 toward clunker acquisition. Last edited by Phamilton; 04-05-19 at 11:49 AM. I really don't need another bike, let alone a crappy one. Yet I love this challenge.